MFA Health Track is a Vac 45 preconditioning verification program for beef calves administered by MFA Incorporated for our Cow/Calf producer customers. 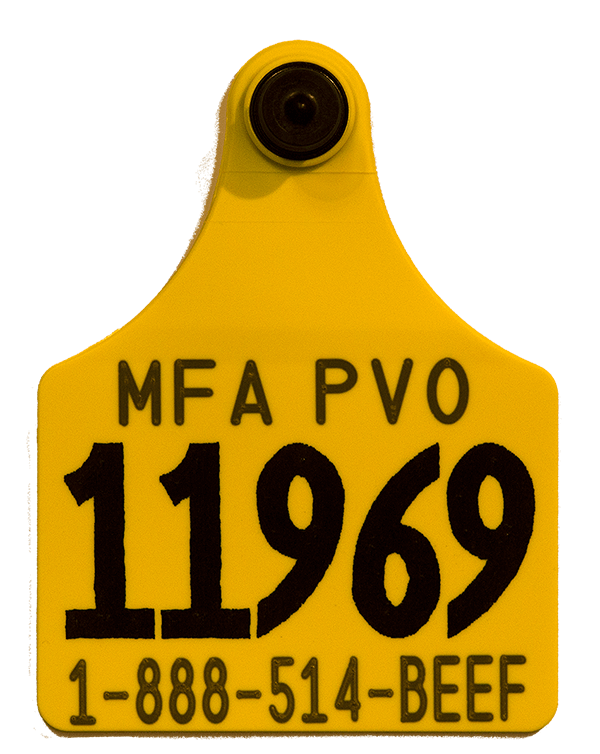 MFA Incorporated is uniquely qualified for this role due to our ability to supply and verify the purchase and proper administration of all of the products and services required to qualify calves for Health Track ear tags. Why enroll your calves in Health Track? Why purchase Health Track calves? Support - we audit and verify all processing claims and will make right any misrepresentations. What Health Track buyers are saying . . .
"When my buyer says they are MFA Health Track cattle, I don't do anything to them and I have never had a problem." MFA Health Track also has an additional Health Track program that is linked with ABS Genetics that works to increase the quality of your beef herd. Watch the video "ABS ALLIANCE ADVANTAGE" to learn more. Producer must have owned all cows at the time they gave birth to the calves enrolled in MFA Health Track. Producer must also supply, at a minimum, the birth date of the oldest calf enrolled. Producer premises IDs are not required but highly recommended. If producer is interested, access to SAV certification can be arranged. *To optimize immunity and avoid maternal antibody interference, all calves must be 60 days of age or older when the 1st round of vaccinations are administered. Calves must receive their second dose at least 7 days before movement to sale. Animal health supplies must be purchased from MFA or participant veterinarians. MFA feeding program for the remaining period until calves are sold. Your MFA feed representative can assist you in designing a program with additional options to optimize your resources and profitability. Feeding programs other than those listed above must be approved by the MFA Area Sales Manager. Calves must be born and raised on the ranch of origin, or properly controlled by applicant, and individually identified prior to any approved movements. They must be weaned a minimum of 45 days prior to sale. Calves may be weaned off-site if pre-approved by the Health Track office. Off-site weaning requires at least the first round of vaccinations to be administered at branding or pre-weaning, and the initial post-wean Cattle Charge/Full Throttle must contain CS-700 or CTC. 1. A quality feed program will be maintained for all incoming ingredients. This program will analyze any suspect contamination and eliminate any contaminated products as a result of molds, mycotoxins, or chemicals. 2. Only FDA approved medicated feed additives will be used in rations and they will be used in accordance with the FDA label, including administration procedure, dosage, and withdrawal time. Extra label drug use of feed additives will not be used at any time or for any reason. 3. All individual treatments will be given in the neck region regardless of being administered subcutaneously or intramuscularly. This includes treatments and/or vaccinations given prior to Health Track program requirements. 4. All individual treatments will strictly follow only FDA/USDA/EPA guidelines and products which cause tissue damage will be avoided. 5. Products will be administered at the lowest dosage recommended and will be administered in such a manner where there will not be more that 10cc/IM or SQ site administered. 6. All treatments administered extra label will be kept to a minimum and when extra label treatments are given, they will comply with the prescribed extended withdrawal time. 7. Withdrawal times have been met on all cattle shipped. 8. The operation will strive to prevent bruising during animal handling. Health Track tags must be removed from any non-qualified calves prior to sale. **Producer will be charged $0.10/lbs. of sale weight for verified bulls and/or stags. Participants will agree to the above restrictions when they get their tags. Calves must receive their second dose at least 7 days before movement to sale. Animal health supplies must be purchased from MFA or by applicant's veterinarian. Cattle must be full fed or hand fed MFA Cattle Charge, MFA Full Throttle, or Cadence 50c (only if calves have been crept fed on Cadence 50c 30 prior to weaning) a minimum of 10 lbs. per head per day for at least the first 14 days of the 60-day preconditioning period. Depending on desired gain, health, weather, amount and quality of forage, etc., producers may feed Cattle Charge/Full Throttle longer or switch to an approved MFA feeding program for the remaining period until calves are sold. Calves must be owned/controlled by applicant a minimum of 60 days prior to sale. To the best of the owner's knowledge, none of the cattle enrolled in the MFA Health Track Beef Alliance, had been, is, or will be, adulterated within the meaning of the Federal Food, Drug, and Cosmetic Act (i.e., none of the cattle or other ruminants will be, or have been fed any feed containing protein derived from mammalian tissues, e.g. meat and bone meal, as that term is defined in 21 CFR 589.2000 and none of the livestock will have an illegal level of drug residues). 1. Producer must work with ABS to breed at least 50% of females via Artificial Insemination to Proven ABS Sires Ranking in the Top 35% of the Circle A Angus Sire Alliance Total Profit Index or the Top 35% of the Powerline Beef Index. 2. 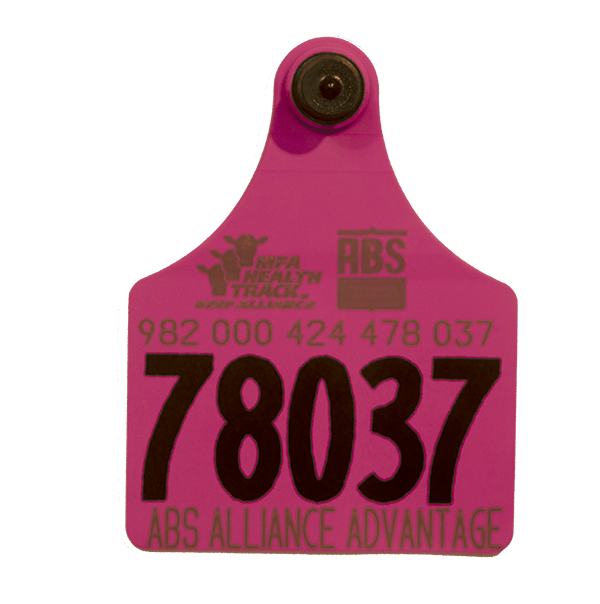 ABS Alliance Advantage marketing tags will be made available to qualifying producers who complete Health Track criteria for ONLY the calves sired by qualifying ABS Sires based upon calving data and producer records. a. Remaining females not bred to Proven ABS Sires outlined in (1.) above may be serviced to ABS AI Sires who are sons of ABS proven bulls from (1.) above AND ALSO have EPD’s that rank in the Top 35% for $B (Angus Sires) or $TI (Simmental Influenced Sires). For example, Rampage is a Daybreak son with a Top 35% $B. TSN Protégé is a Protégé son with a Top 35% $TI. b. Remaining females not bred to Proven ABS Sires outlined in (1.) above may be serviced to Natural Service Sires who are sons of ABS proven bulls from (1.) above AND rank in the Top 35% for $B (Angus Sires) or $TI (Simmental Influenced Sires) at the time of purchase. For example, Absolute, Bruiser or Dual Focus sons who have genomic EPD’s in the Top 35% for $B or $TI. c. Remaining females not bred to Proven ABS Sires outlined in (1.) above may be serviced to Natural Service Sires developed and marketed by Circle A Angus Ranch who rank in the Top 35% of the Circle A Total Profit Index AND marketed by Powerline Genetics who rank in the Top 35% of the Power Beef Index at the time of purchase, OR both. 4. ABS District Business Managers in conjunction with ABS Representatives will review and verify what percentage of a producer’s calves qualify for the Alliance Advantage tags and will communicate that to MFA. *The MICRO PVP is a USDA-approved Process Verified Program.